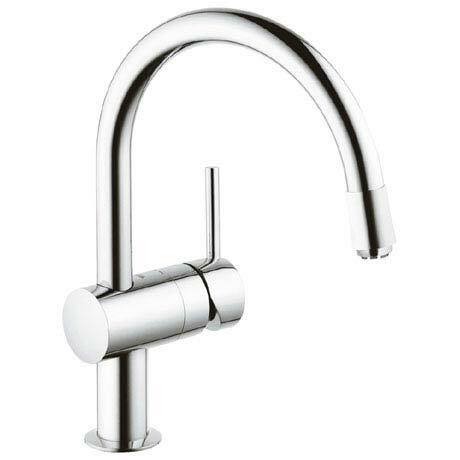 If you're using an open water heater rather than a central warm water supply, you will need this Minta Kitchen Sink Mixer. The tap comes with the requisite three hoses and is durable, easy to clean and affordable. Thanks to the innovative cartridge technology, you will find this single-lever mixer retains its smooth handling properties for years to come and it is extremely easy to clean.